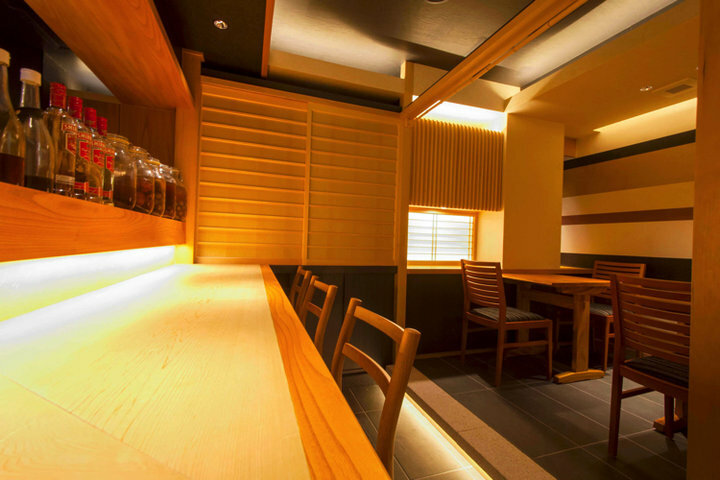 Sister branch of Soba Sasuga, offers charcoal-grilled cuisine and handmade 100% buckwheat soba. 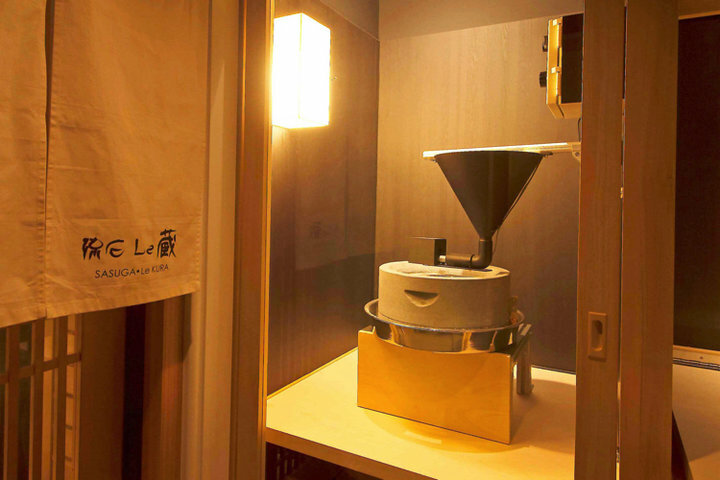 "Sasuga Le Kura", a restaurant specialize in charcoal-grilled cuisine and handmade 100% buckwheat soba, located on the 6th floor of one building at Kincho-dori Street, Ginza 8-chome, which is a perfect location that only takes 6 minutes on foot from Tokyo Metro Ginza station, 5 minutes from Shimbashi station or 7 minutes from JR Yurakucho station. 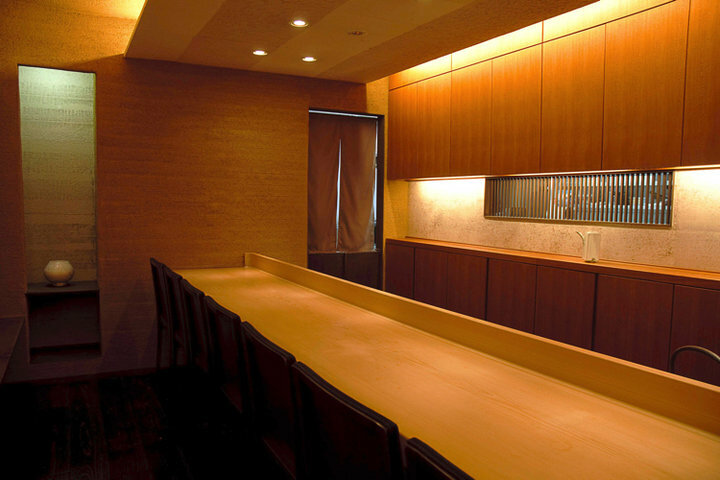 It is a branch of the "Soba Sasuga" in Ginza. 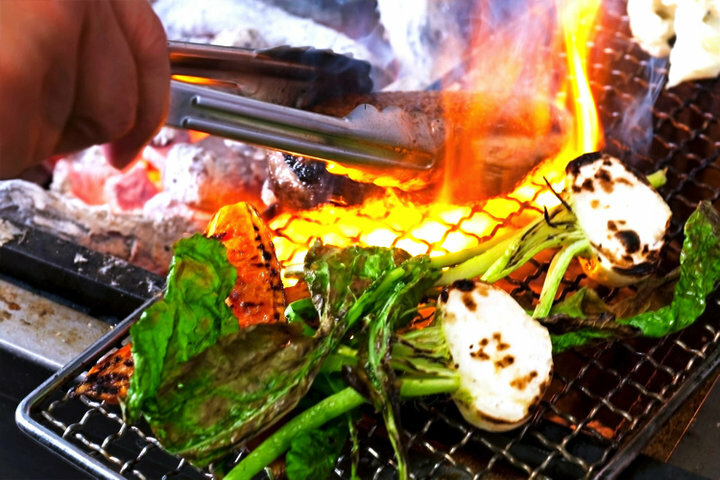 Charcoal-grilled cuisine offered are prepared by "Soba Le Kura" style culinary skills, the perfect balance of coal used is a result of experience gained at French restaurants. Ingredients are chicken, duck and organic pesticide-free vegetable brought from "Green shop" in Tokyo. Specialty "Deep-fried sakura shrimp with mixed vegetable strips" and the fluffy "buckwheat ball", are all special cuisines only can try at "Sasuga Le Kura". 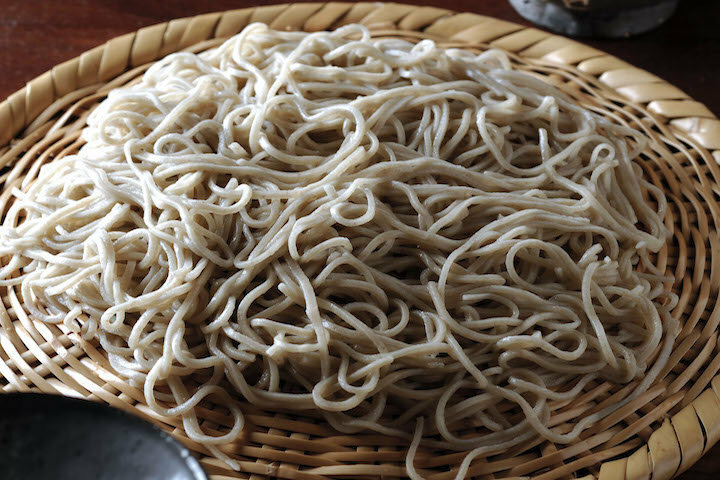 The specialty "handmade 100% buckwheat soba" is made preciously from milling buckwheat flour with the Hiroki Ishiya tailor made stone mortar. 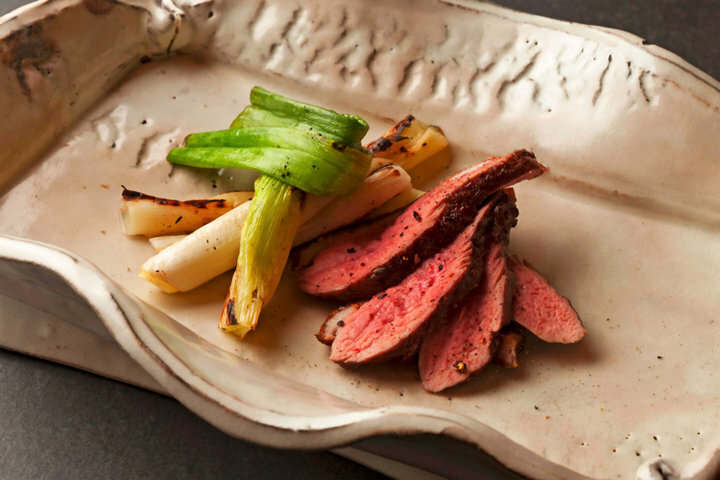 The finishing dish is as same as the charcoal-grilled cuisine, prepared in from of the counter seats. 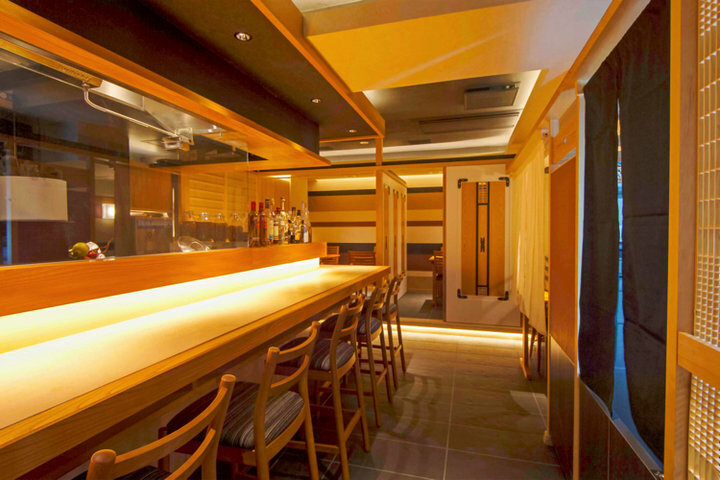 Chef's selected course with a variety of side dishes and pairing Japanese sake and wine will make you try it again and again. Vegetarian menu can be prepared under request. 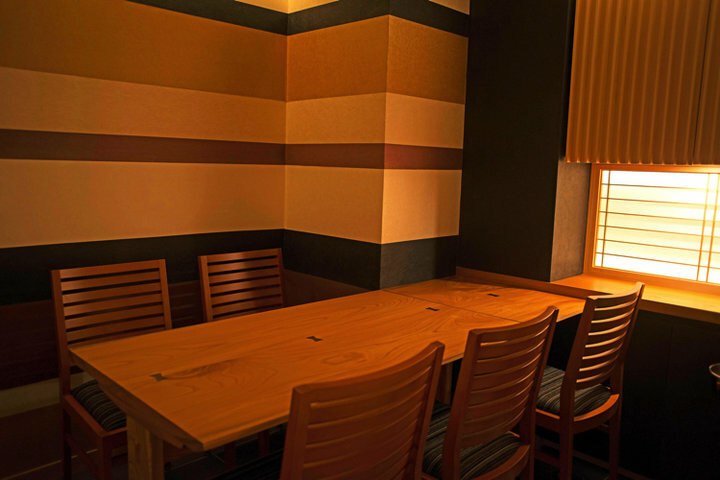 Counter, semi-private room and private room for a group up to 10. Even you are planning to have a sightseeing will night, we welcome guests till 22:00 every business day.